Hi, everyone! 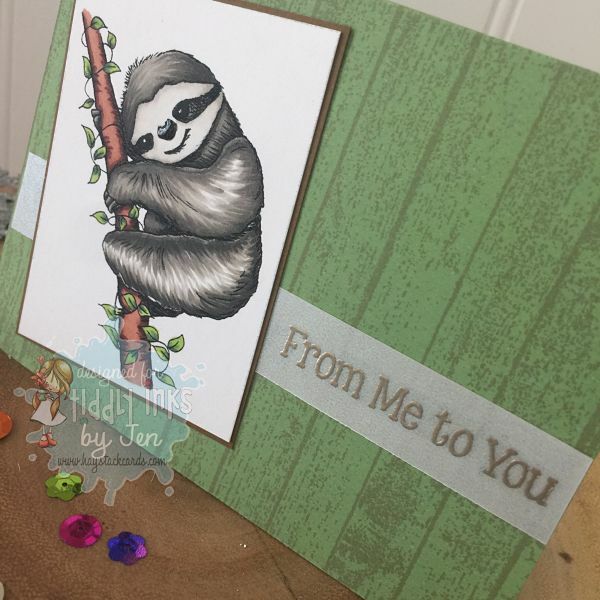 Today is Fabby Friday over on the Tiddly Inks Challenge Blog and my project features the adorable Sloth's Life | For Reals digital stamp. 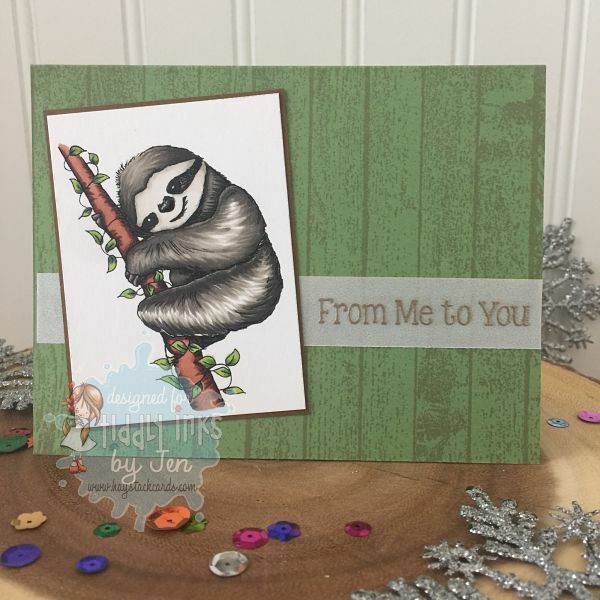 After coloring the image with Copics, I mounted the ATC-sized image to a card base that was inked up with a wood grain background stamp. I also heat embossed a sentiment with liquid platinum powder onto a vellum strip. 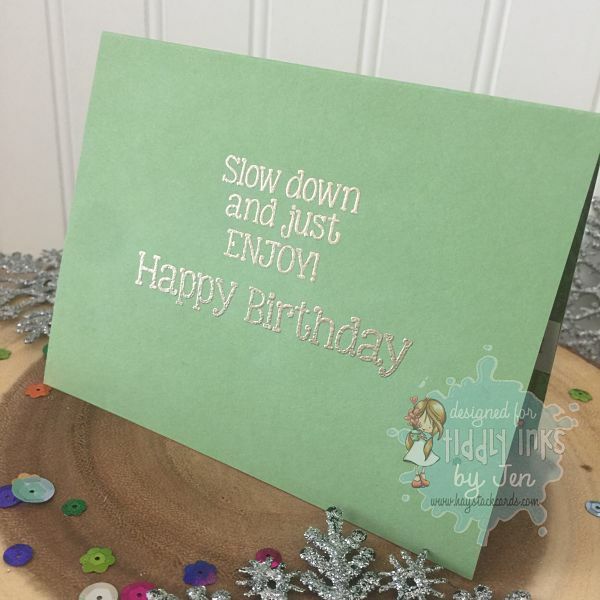 The inside sentiment is also heat embossed with liquid platinum powder. I thought this sentiment was appropriate for this image. Cute Cute Cute! Your coloring on the sloth is amazing. He looks real and very happy. Love the perfect greeting on the inside. 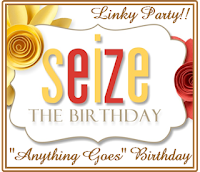 Thanks so much for sharing with us at Seize the Birthday Challenge. Looking forward to seeing you again. So cute! Wonderful colouring and the sentiment on vellum looks fabulous.